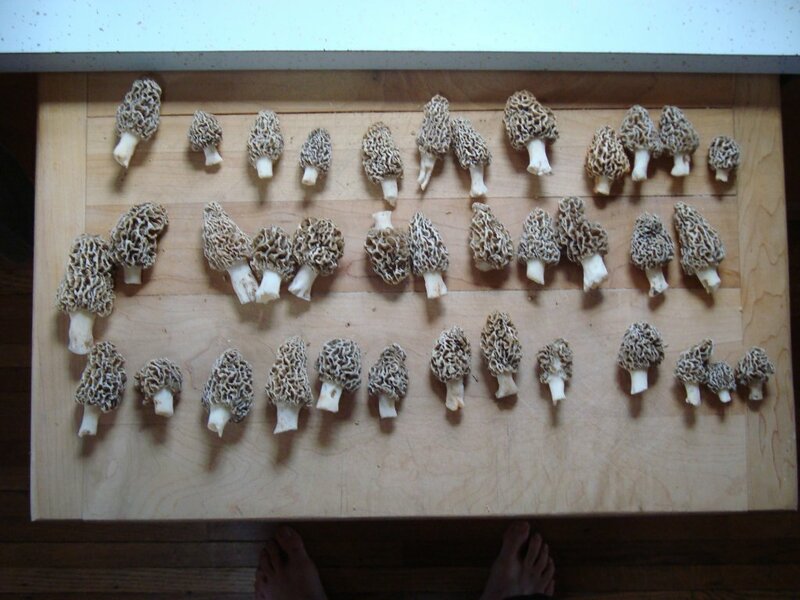 Posted by Nate in Bruno, Foraging, Malarkey, Mushrooms. We launched ArtsConnectEd last Monday, and it’s still running today! This being Mother’s Day, you should absolutely go check out the Art Collector Set dedicated to images of mothers in art. Very well done. 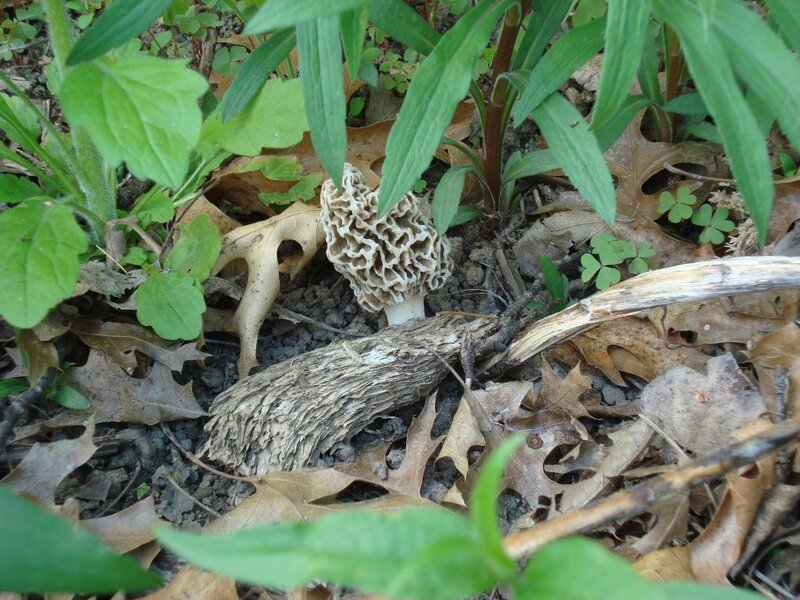 I found almost a pound of morels today!!! 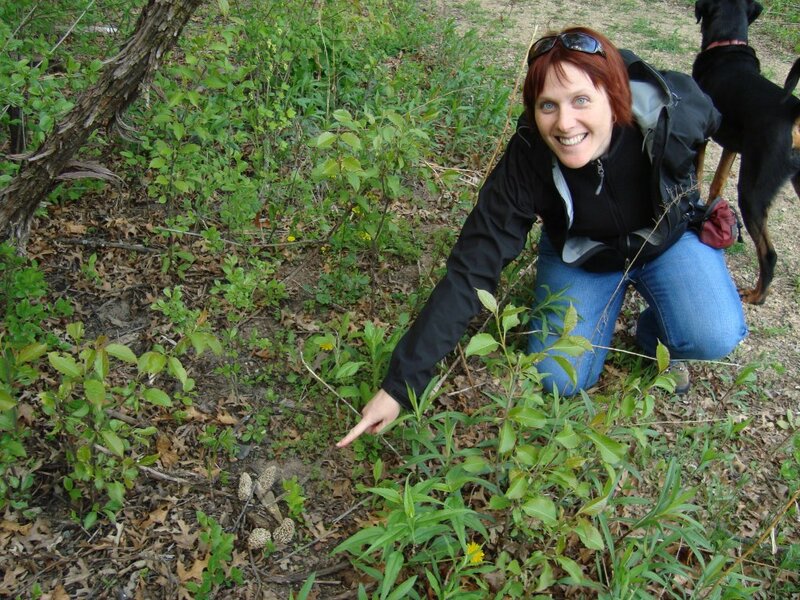 Ok, that needs some qualification: Karen found them. But I was coming that direction, and I totally would have seen them. Really. It was pretty exciting, since we’d spent almost 2 hours at the secret location tramping through the woods and coming up empty. (I think in general it’s still a bit early for this area, and we need some warmer weather before things go crazy.) Then we drove to another part of the secret location just to check it out, and within 10 minutes we hit the jackpot! 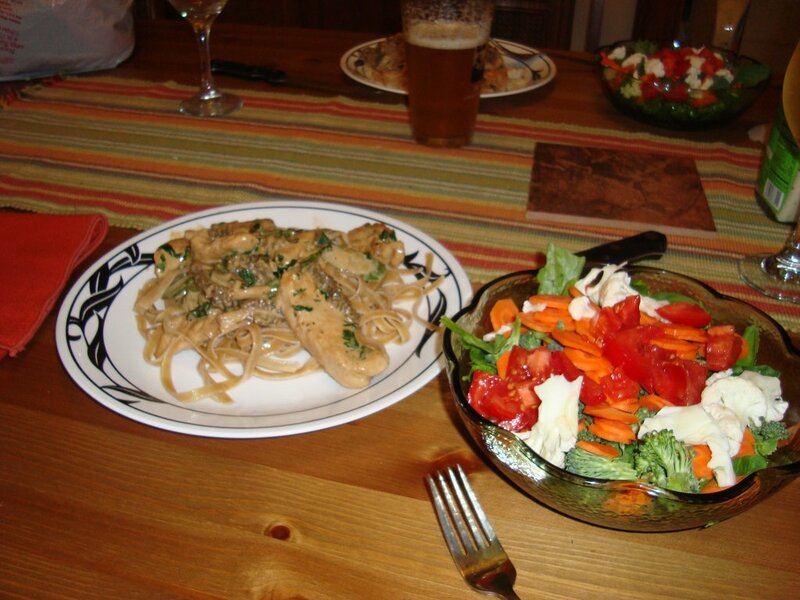 So for dinner we enjoyed a small feast of chicken strips on pasta covered with an incredible morel cream sauce. Yum city!!! 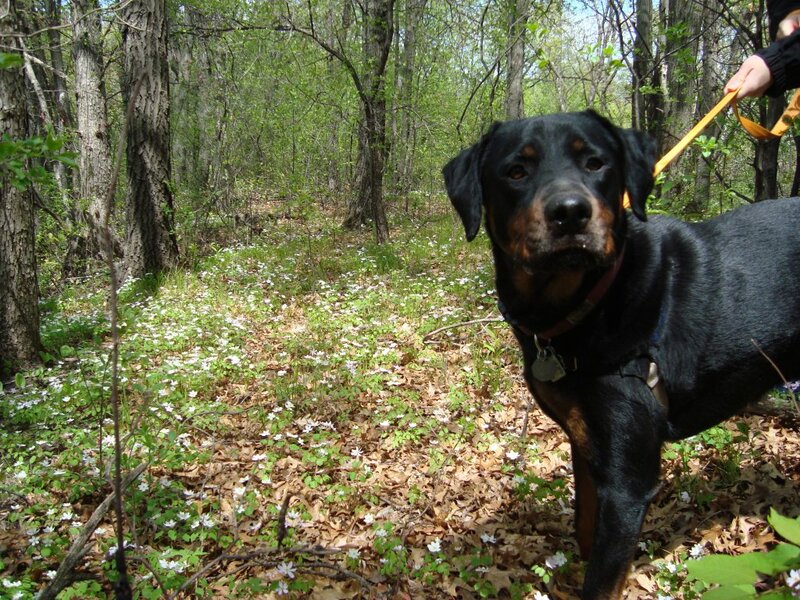 Finally, since this is still how we run things on the Duoteam blog, here’s a bonus shot of Bruno in the woods looking damn handsome in a little clearing of flowers. You are currently browsing the Duo Team! weblog archives for May, 2009.